Launched at PLASA 2010 in London, the Dynacord Corus Evolution was also highlighted at Prolight+Sound Show 2011, Frankfurt/Main, Germany. 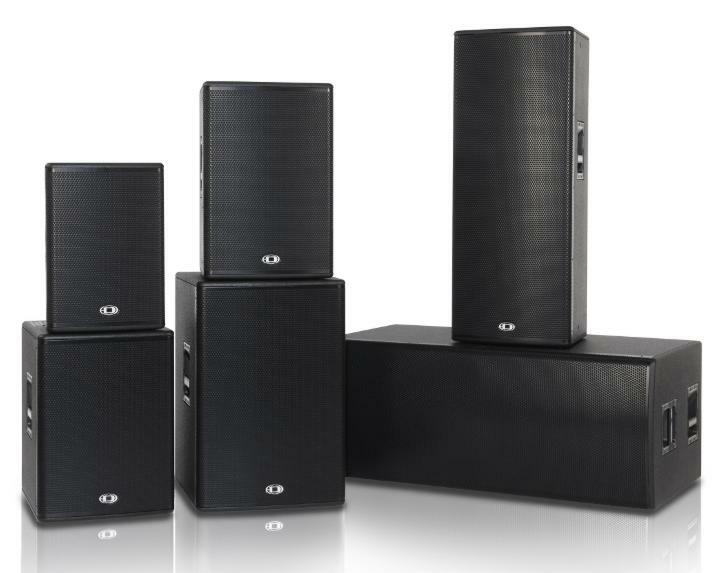 Featuring six loudspeaker models with high power-handling, excellent acoustic performance and a competitive price, the Corus Evolution series is suitable forfixed installation and touring applications. The Corus Evolution C 12.2 is a compact trapezoidal twelve-inch 2-way full-range system with a power handling capacity of 500W (2000W peak). For the low frequency range, it boasts an SMX 2120 woofer, whilst a DH3 compression driver in a 90° x 50° constant directivity horn is responsible for the frequencies above 1650 Hz. Another full-range speaker, the Corus Evolution C 15.2 alsi is compact trapezoidal fifteen-inch 2-way box with a power handling capacity of 500W (2000W peak) featuring an SMX 2151 driver and a DH3 compression driver with a 90° x 50° cd horn for the frequencies above 1550 Hz. Offering high sound pressure levels in a compact format, the C 25.2 is a double-fifteen-inch 2-way full-range speaker with a power handling capacity of 1000W (4000W peak) delivering sound pressure levels of up to 139 dB. It features two SMX 2151 low frequency drivers and a a ND2-8 neodymium compression unit in a rotatable 60° x 40° constant directivity horn for frequencies above 1750 Hz. All full-range cabinets of the Corus Evolution series are equipped with a state-of-the-art crossover featuring fourth- and sixth-order filters respectively, as well as dynamic HF protections. Subwoofers of the Corus Evolution family comprise the Corus Evolution Sub 1.15, the Sub 1.18 and the Sub 2.18 employing drivers from Electro-Voice's EVS series, the speakers are equipped with integrated low-pass filters for operating parallel to MF/HF boxes.